NEW YORK (Reuters) - A group of consumers who have sued American Airlines' bankrupt parent over its proposed merger with US Airways Group (LCC) are now objecting to a settlement that would allow that merger to go forward. California resident Carolyn Fjord, leading a proposed class of plaintiffs in an antitrust lawsuit against the two airlines, filed court papers on Thursday in U.S. Bankruptcy Court in Manhattan, arguing that consumers would be hurt by the tie-up, which would create the world's largest airline. It was the only objection filed ahead of a midday deadline to oppose the settlement, which was reached earlier this month in a separate dispute between the airlines and the U.S. Department of Justice. The DOJ had blocked the deal, which was to serve as the basis for American parent AMR Corp's (AAMRQ.PK) exit from bankruptcy. The sides settled after the airlines agreed to give low-cost competitors more access to several key U.S. airports, including in New York and Washington. The settlement still needs bankruptcy court approval before the merger can close and AMR can exit bankruptcy. A court hearing is scheduled for Monday. The Fjord group, whose lawsuit against the airlines is pending, is seeking a temporary restraining order to keep the deal from closing. "The proposed merger will create undue concentration in the airline industry in the United States and may result in increases in fares, reduction of capacity and availability of flights, reduced services, charges for amenities, loss of jobs" and other issues, the group said in Thursday's filing. An AMR spokesman declined to comment on Thursday. A spokeswoman for US Airways had no immediate comment. 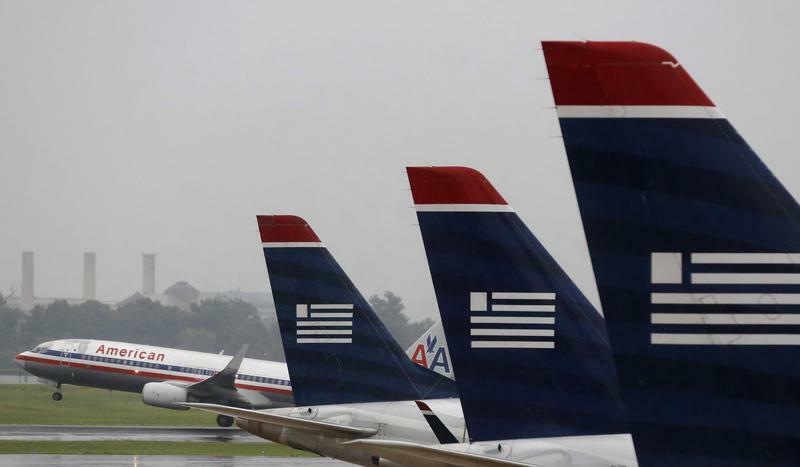 The airlines have rejected the group's allegations, saying in court papers that the move would not harm competition.